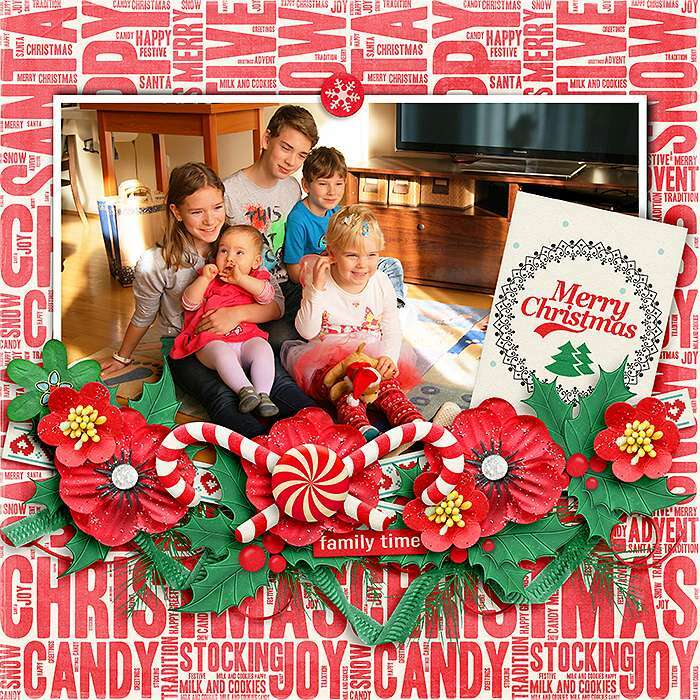 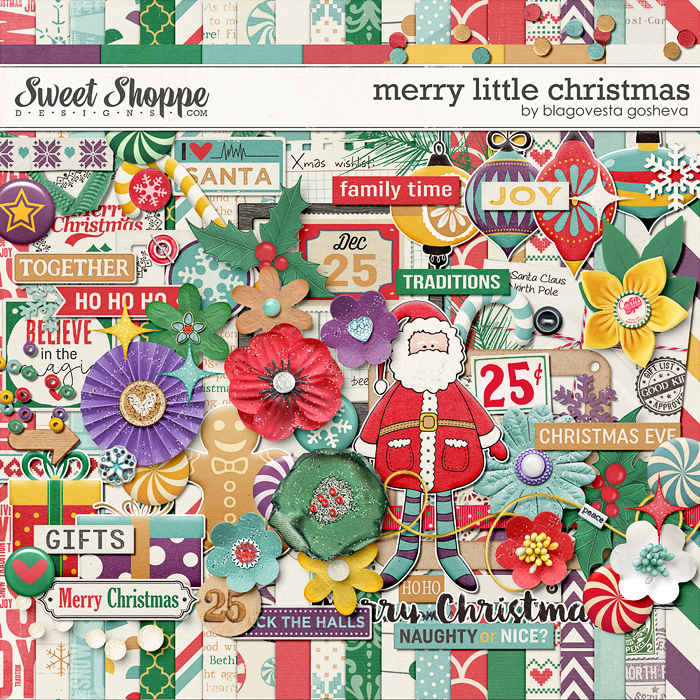 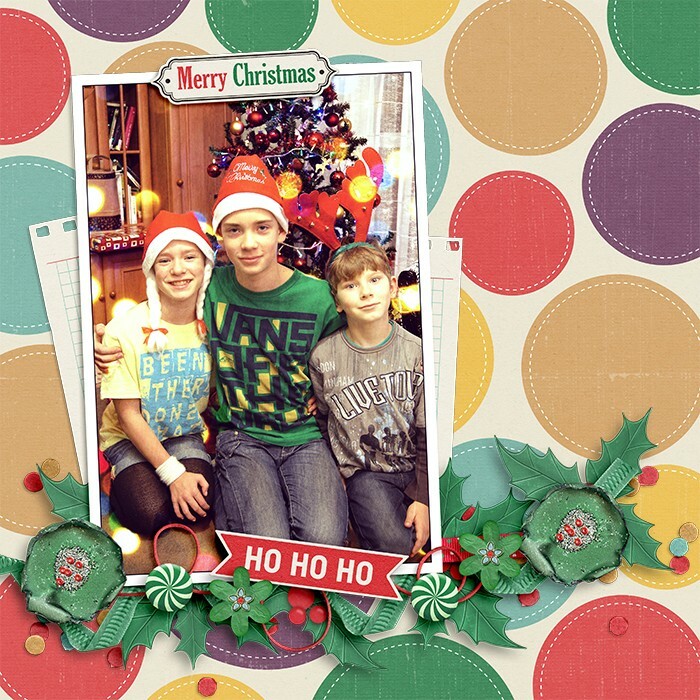 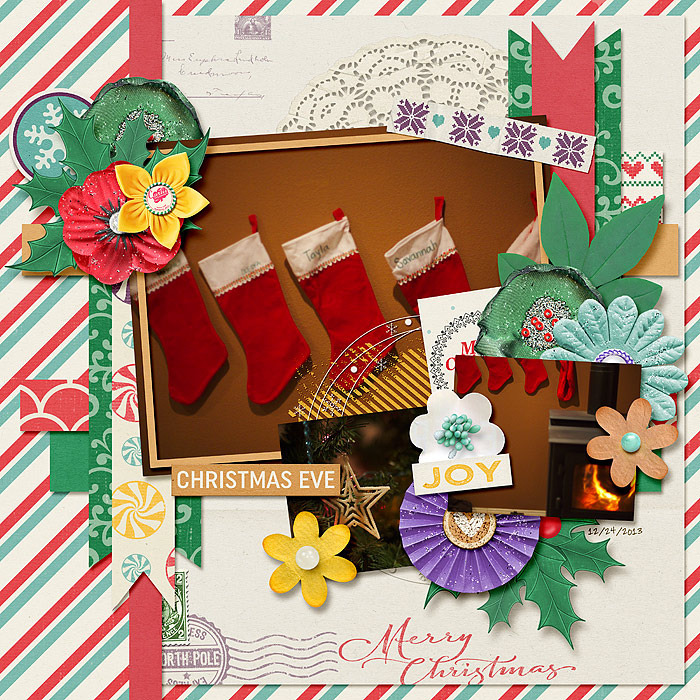 A digital scrapbooking kit by Blagovesta Gosheva, Merry little Christmas is a fun and cheerful kit perfect for all these happy Christmas photos. 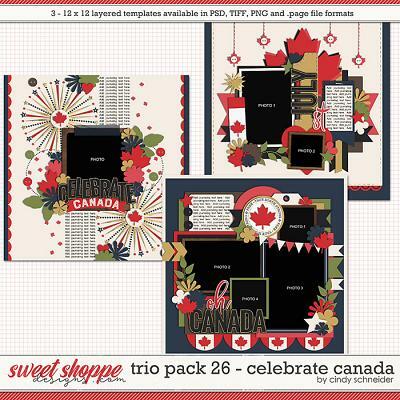 NOTE: This kit was featured at Digi Shop Talk as "Gold members kit" - check your stash before purchasing! 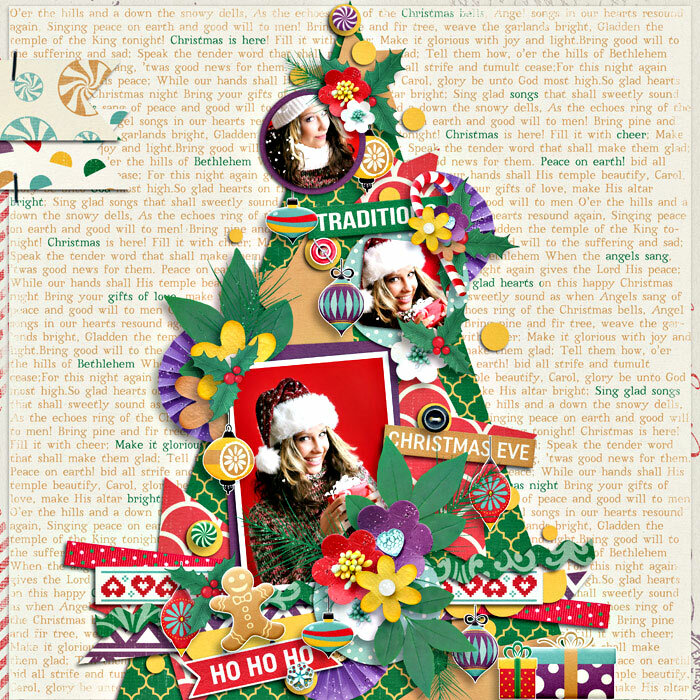 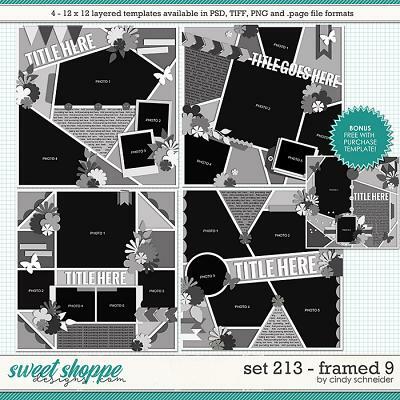 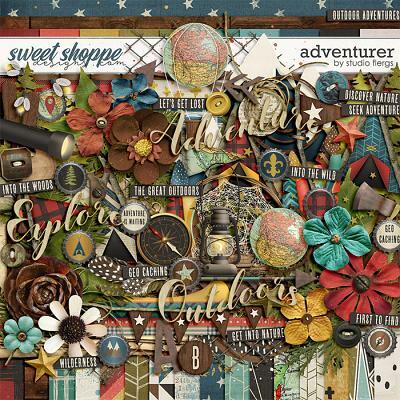 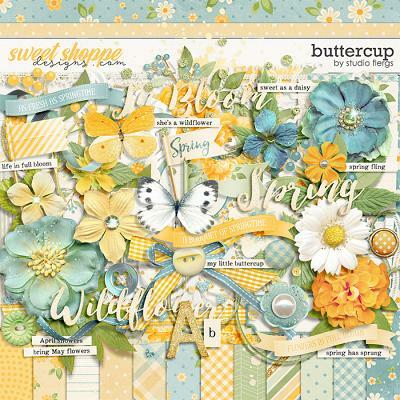 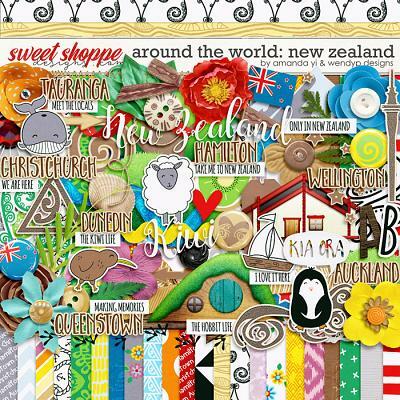 Includes: 20 patterned papers. 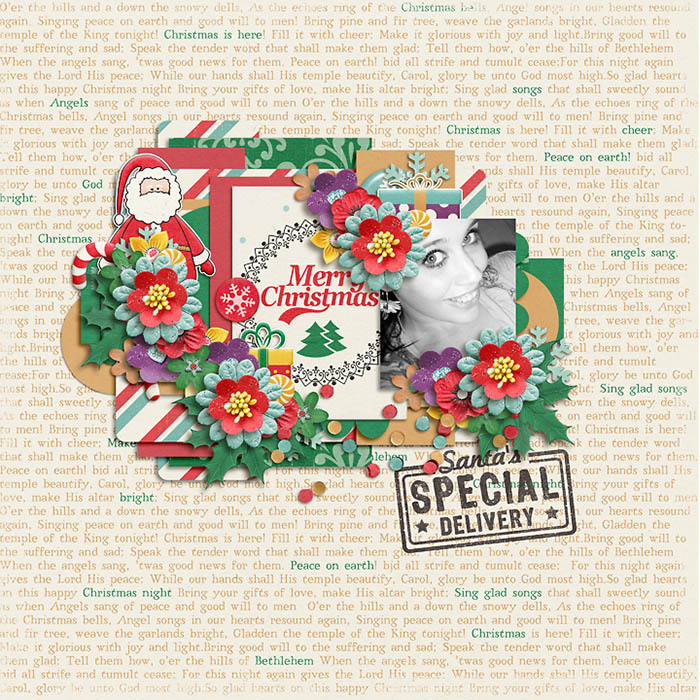 7 solid papers, 3 frames, 12 beautiful flowers, leaf, holly berry, pine branch, candy in 5 color variations, candy cane in 3 color variations, 3 flairs, 3 buttons, cute Santa, 4 Christmas ornaments, arrow, spilled beads, journaling cards, doily, 2 presents, gingerman, envelope, 3 snowflakes, snow bows, sticker, card, 4 stars, border, confetti, 2 wooden bits, 2 fun labels, stamp, postal stamp, 2 ribbons, string with bead in 2 color variations, stitch, date tag, washi tape, scribbles, 4 artsy overlays, word art, 10 wordstrips.